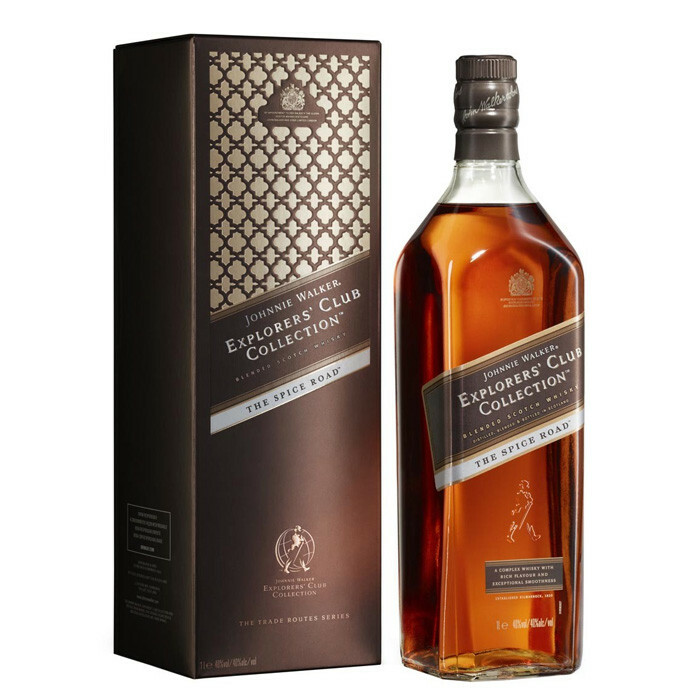 Johnnie Walker Explorer’s Club Collection, The Spice Road is a lively, contemporary blend. The first expression in Johnnie Walker's Travel-Retail-exclusive Explorers' Club Collection, The Spice Road was released in Duty Free stores late in 2012. This adventure-themes bottling is meant to evoke images of traveling the Silk Road and wandering the spice bazaars of Asia. It's a blended Scotch bearing no age-statement. The Spice Road is a complex whisky with a rich flavour and exceptional smoothness. Matured in old oak casks for an intense finish inspired by the spice markets of Asia yet true to the Johnnie Walker signature. In 1867, Alexander Walker launched Johnnie Walker’s first commercial blend and called it ‘Old Highland Whisky’. He then made the astute move of engaging ships’ captains as his agents to carry his whisky wherever ships could sail. Before long, his unique blend was available around the globe. Soon afterwards, he began using the famous square bottle to reduce breakages and made sure much more of his whisky arrived intact at its destination. He also added the distinctive label, slanted at precisely 24 degrees, to make it stand out even further from the crowd.